The legend goes that on the night of 24 September 1218, the Virgin appeared simultaneously to King Jaume I, Saint Pere Nolasc and Saint Ramón de Penyafort. She asked all three to create an order of monks dedicated to saving Christians imprisoned by the Saracens. It was the time of the wars of religion. Centuries later in 1687, Barcelona suffered a plague of locusts, and placed itself in the hands of the Virgin of La Mercè. Once the plague had been overcome, the Council of the City named her patron saint of Barcelona. The Pope did not ratify this decision until two centuries later, however, in 1868. 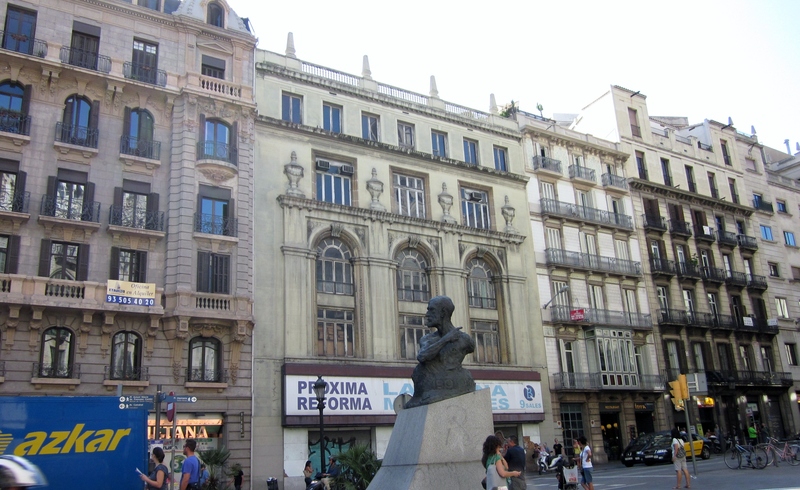 After Pope Pius IX declared the Virgin of La Mercè the patron saint of the city, Barcelona began to celebrate a festival in the month of September. 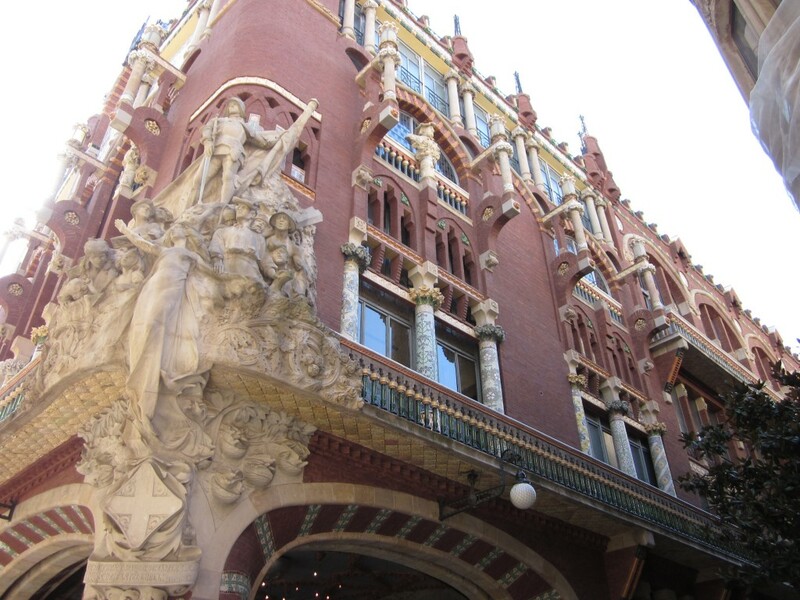 La Mercè really took off in 1902, when under the leadership of Francesc Cambó, the festival became the model for those that are currently held all over Catalonia. However, La Mercè would continue to suffer advances and setbacks extending throughout the Spanish Civil War and the years of Franco. So, basically to me La Merce means lots of music and some pretty cool cultural events. There were 6+ outdoor music stages spread around the city, some in large plazas or parks and some wedged more intimately in small spaces between buildings. I really enjoyed walking between the concerts and catching a little bit of a bunch of different bands. It was especially enjoyable because most of the bands I had never heard of and when walking to a concert I didn’t always know what to expect. I think my favorites were a Japanese Jazz ensemble called Pe’z and a Canadian rock band called the Little Scream (the singer wore bright orange high tops. how could it be bad?). Another thing that I absolutely loved and at the same time terrified me was a Catalan tradition called castell. It’s a competition between teams from different towns, the goal is to make the highest or most complex human tower. This wikipedia article gives a better idea of the rules and history than I could and is actually very interesting but basically the point is to as seamlessly and quickly as possible raise a tower and then break it down with as few missteps as possible. The tower is completed when the smallest child has reached the top and holds up four fingers. She then climbs down the opposite side of the formation with the rest of the team following her. The towers are built on top of much larger group of people with essentially support beams pushing in to disperse the weight and stabilize the core. 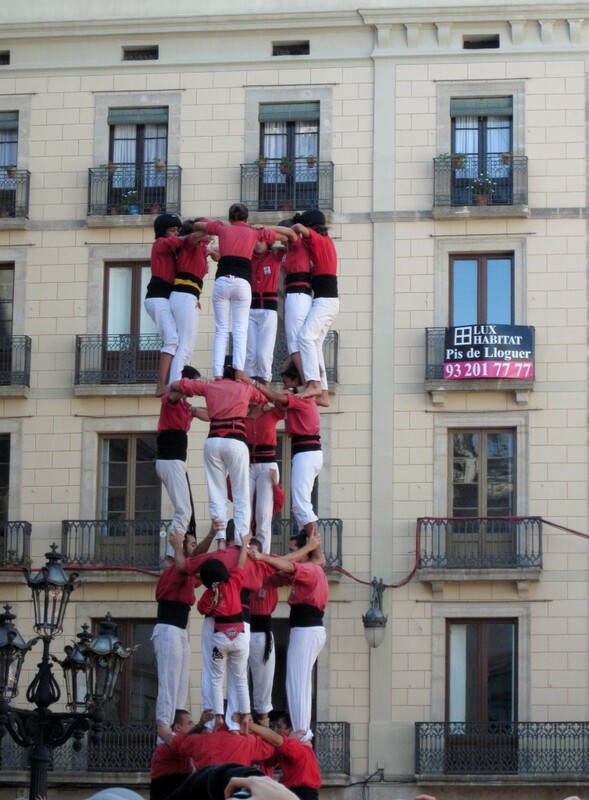 The actual tower contains either 1, 2, 3, or 4 people per level depending on the tower being attempted. The world record tower is 10 levels (but the top three little girls count as three levels) and reach over three stories high. So, the video depicts the end of a tower as the smallest child holds up her four fingers, then as the tower begins to breaks apart, the second smallest girl becomes the top of a second tower within the first tower. It is one of the hardest formations and we actually saw this team try this formation twice, the first time they fell a little. Consequently and much to the annoyance of the people I was with I spent most of this two hour event whispering over and over again, “No child of mine. No child of mine.” As a person from the most litigious country in the world I could not grasp allowing your five year old to climb four stories of people without any protective gear and the very real possibility of falling (though I am told that it is very rare that anybody gets seriously injured). However, as much as each tower terrified me, it was also thrilling and a thoroughly enjoyable event to see. Yesterday was my first day of school, I was very nervous walking up to the school, but by that time there was no turning back. I had already obsessed about everything obsessable and changed my clothes eight times. I should not have been worried with 18 years of school under my belt, school should be pretty second nature to me, but every first day is all new and exciting. However, when I walked up and saw the other people milling around the front door, it became clear this school will be only slightly different from every other school, there will be lectures, there will be tests, there will be cliques and fights and new best friends. We were eventually let into the building exactly on time but after the bomb squad had paid a visit (I don’t know why they were there and nothing appeared to be wrong). The students all took seats around a big dining room sized table and class began with introductions. We were to state our name, where we are from and our pastry background. I had three people before me which is plenty of time to freak out, especially as the teacher only allowed the first guy two sentences before he started grilling him on specifics. I don’t know if it’s because I have clearly second-rate Spanish or because I have a strong pastry background, but when my turn came he only asked for clarification on places I have worked and how I heard of the school. The people who really got questioned were those with little or no pastry background of which there are quite a few. The rest of the class was something of a blur. I’ve had classes in all Spanish before, but never at quite such a fast speed. I found I could understand most of what was going on as it was happening, but then I couldn’t remember the conversation 5 minutes later. This necessitated note taking, but I couldn’t take notes and listen at the same time. It was a bit of a conundrum, but luckily most of the day’s information was general knowledge about the class, the school’s purpose, and things we need to buy much of which I knew already. My teacher is very nice, he stopped at one point to make sure I knew that, if I didn’t understand something, I would ask. The other students are also very helpful.Only two of them speak any English, but I walked one of them home and he made sure I hadn’t missed anything of immediate relevance. I think this is going to be an excellent class, and I’m really looking forward to learning as much as I can. Since I arrived here, I have been spending at least a couple of hours a day walking around. Sometimes I have a specific destination in mind like an apartment to visit, or sometimes I just want to be outside getting a feel for the city. At first on these aimless rambles I stayed pretty close to my hostel for fear of getting horribly lost again, but slowly I’ve gained confidence and have now started to get myself lost on purpose just to see if I can make it home. This city is well equipped for such rambles as there are lots of big city landmarks and the signage is tourist friendly. I have also become fascinated by the integration of new and old buildings and the detail work that has been put into many of the buildings. 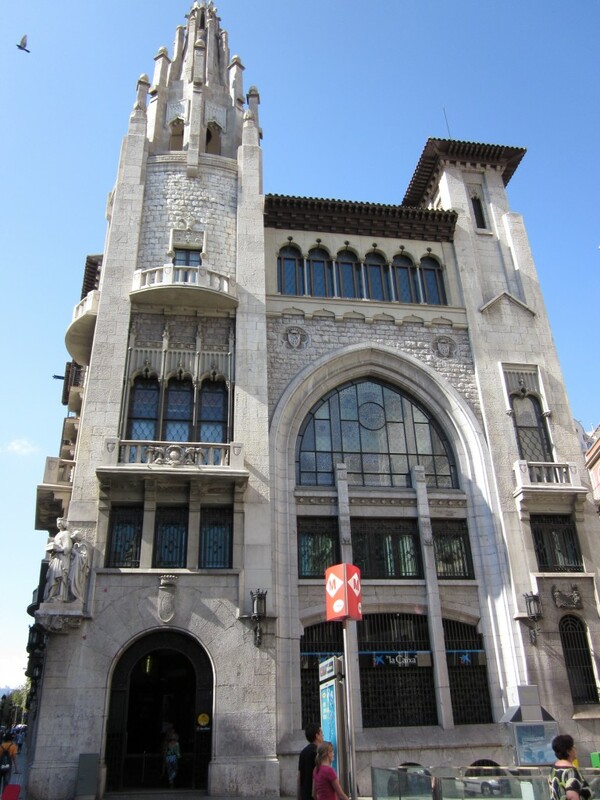 After having most recently lived in New York City, where the standard protocol seems to be to get buildings up as fast as possible and as tall as possible, and Orange County, California, which has the same ideals about speed and makes an effort to make every building homogenous, Barcelona is a relief. There is some semblance of thought and city planning but frequently a new building will be built next to a century old building. The new building does not emulate the old one, but is made in the style of the time and some how the looks never seem to clash. Take this photo below, where the new and the old buildings live side by side. The other thing that is frequently seen, is buildings that no longer serve their original intended purpose; instead of ripping them out and starting over, the buildings have just been adapted to fulfill new needs. For instance I think this building may have once been a church but now it has a bank at the bottom. It’s the details of the city that I love the most. It’s just fun to walk through a city with so much detail, even many of the sidewalks are tiled. One more picture: This is the BACK of a music hall near my school. I made it to Barcelona!! I have been here for a few days now and there are so many things that excite and interest me and that I want to share but I have a full year in which to entertain you. So, I guess I will have to start slowly and from the beginning. First, three suggestions for international travel. 1. no matter how altruistic and innocent your intention, 7 inch chef knives are not allowed in carry-ons. The female TSA agent will not care that it was the first knife your parents gave you when decided to make pastry your career. She will also not care if you cry. This is a rule with no exceptions. Sorry. 2. When moving to a new city where you don’t speak the language, after an extended airplane trip during which it is unlikely you will sleep, please make sure that you get the address of your destination into google maps correctly, unless you are as pathetic looking as me in which case a lovely english speak gentleman will stop and look up your destination on his smart phone. 3. Do not pop the blisters on your palms that appear from dragging a 50 lb suitcase for miles, it will make you look very scary to prospective roommates and it sort of hurts too. I hope this helps you on your next trip to abroad. 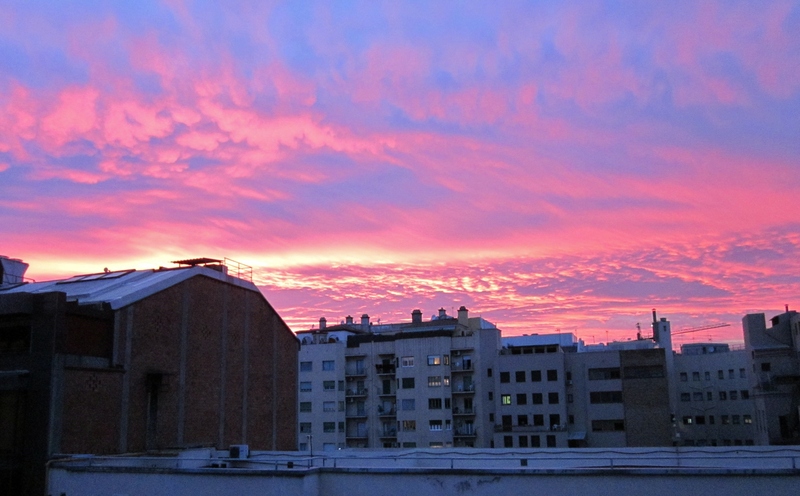 The next essay will be entitled “Welcome to Barcelona” which is I know what you really want to hear about any way. 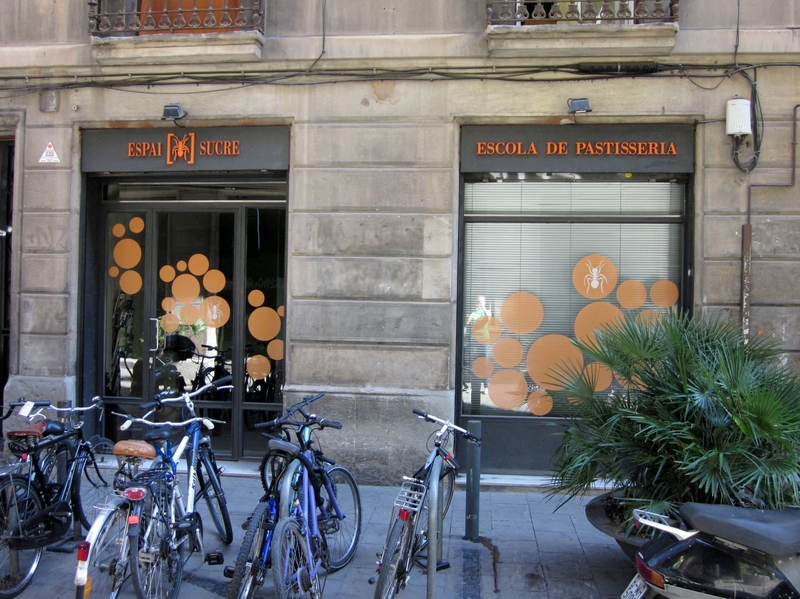 As many of you may know I am moving to Barcelona, Spain next week to study at an dessert school called Espai Sucre. I will be taking a year long class entitled “Restaurant Style Desserts” from which I hope to refine my plating skills and flavor combinations. I am hoping this will enable me to take my career to the next level but I am also really excited about living in a different country for awhile and immersing myself in Spanish culture and the Spanish language. I don’t know how much I will be able to tell you about the actual class work that I am doing or the things that I am learning about because much of that will be proprietary information but I hope you will check back on my blog regularly as I will begin posting pictures and essays about life in Barcelona.